The voyages of Captain James Cook stand among the greatest feats of exploration undertaken in any age. The only 18th – century explorer to lead more than one Pacific voyage, Cook embarked on three circumnavigations between 1768 and 1779 and was responsible for modernizing the unreliable maps created previously of the Pacific’s expanse and the New World’s eastern coast. The 16th and 17th centuries were a fiercely competitive era of exploration, and reliable routes of passage were closely guarded secrets. The political climate often resulted in governmental suppression of discoveries. Cook did more to clarify the geographical knowledge of the Southern Hemisphere than all of his predecessors put together. He was the first scientific navigator, and his voyages made great contributions to many fields of knowledge. 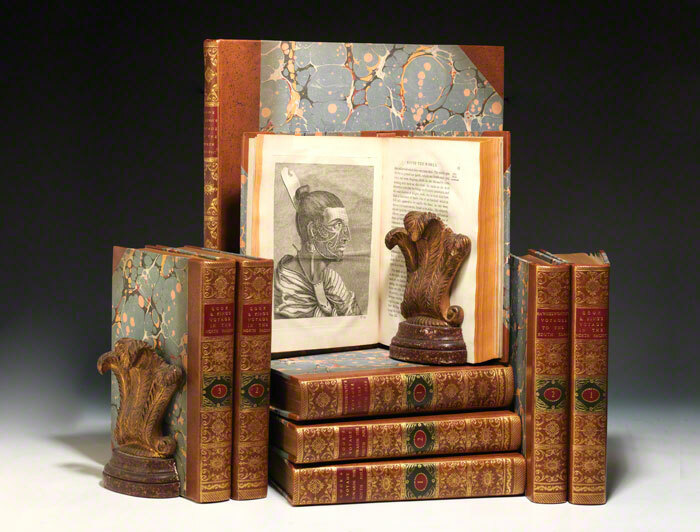 So sought after were official accounts of his work that the first edition of the final voyage sold out in just three days. In 1769 when the planet Venus was due to pass in front of the sun, the British government sent Cook to observe this rare event visible only in the Southern Hemisphere. 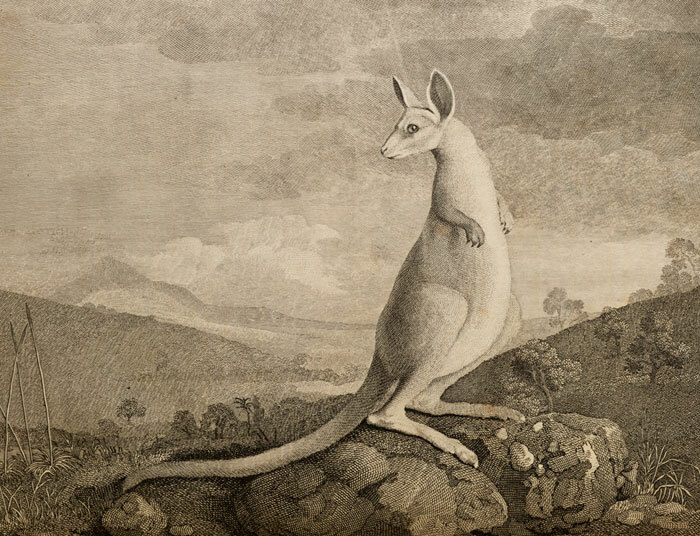 He also had secret orders to search for the fabled southern continent Terra Australis, a land believed to contain fabulous riches and natural resources. He commanded the HMS Endeavour. On board was the astronomer Charles Green and the influential botanist Joseph Banks, who along with the Swedish botanist Daniel Solander collected more than 3,000 plant species on this voyage. There were also several artists on this voyage. Sydney Parkinson was involved in many of the drawings, completing 264 images before his death near the end of the voyage. 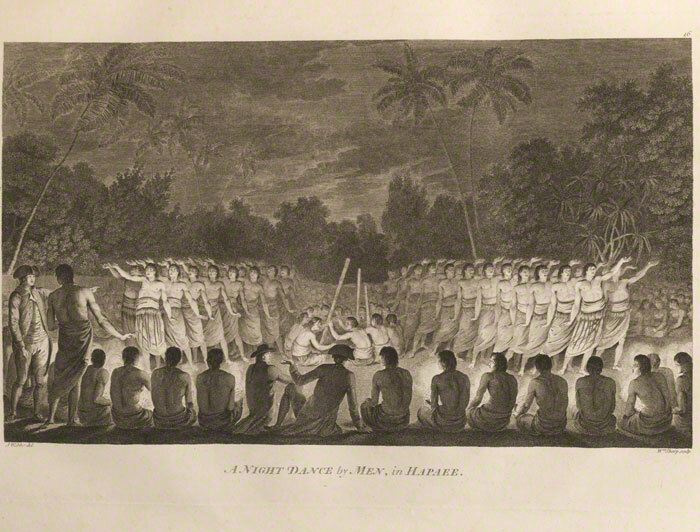 On Cook’s second expedition was the artist William Hodges, who created images of Tahiti and Easter Island. John Webber was the artist on the third voyage. 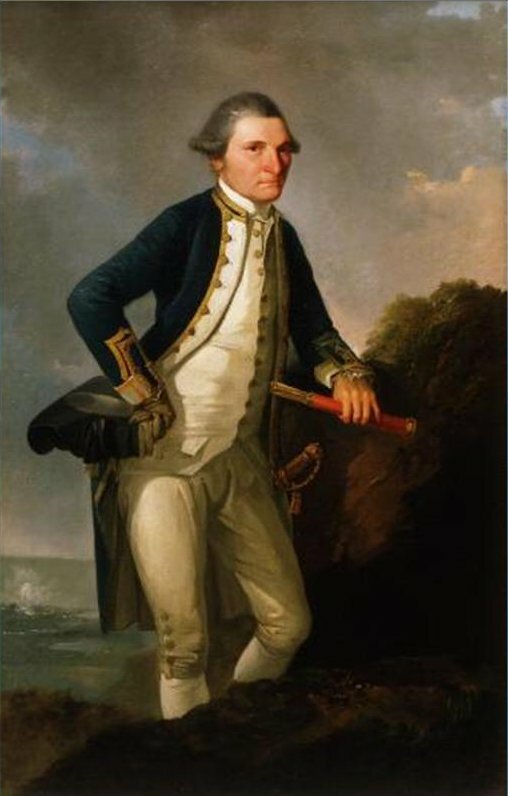 Captain Cook oil on canvas by John Webber, 1776, Museum of New Zealand. Back to April 1769 however. Green successfully observed the transit of Venus while moored in Tahiti. From here the Endeavour continued on. 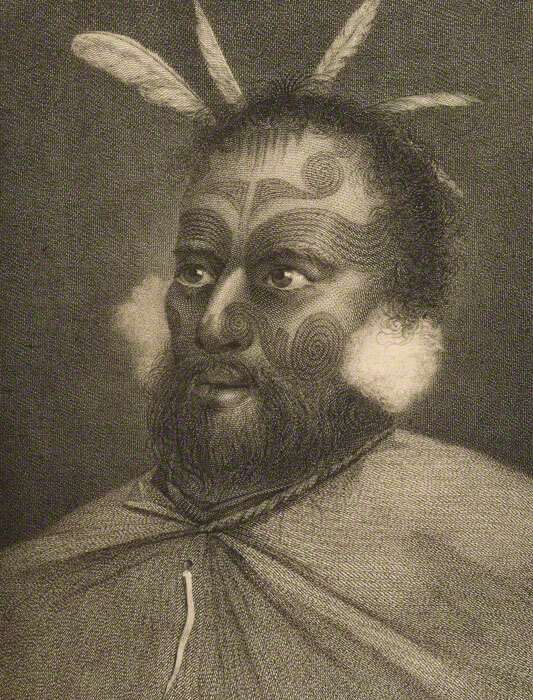 Cook did not prove or disprove the existence of Terra Australis on this voyage, but did sail to New Zealand and then sailed along the length of Australia’s eastern coast, an area no European had seen before. Cook named the area New South Wales and claimed it for Great Britain. He and the crew returned home three years later without losing one man to scurvy, an unheard of achievement for the time. It was for presenting a paper on this aspect of the voyage to the Royal Society that he was made a Fellow and presented with the prestigious Copley Gold Medal in 1776. The 1773 first edition of this voyage co-authored by John Hawkesworth is considered to be the official account. It is preferred for its plates, which includes the essential Chart of the Strait of Magellan. On his second voyage, undertaken between 1772 and 1775, Cook took command of HMS Resolution while Tobias Furneaux commanded the companion ship, HMS Adventure. Again their mission was to determine whether the fabled Terra Australis existed. While in the Antarctic Circle, the ships became separated. Furneaux turned back while Cook pressed on to almost reach the Antarctic mainland, the existence of which he suggested, but which would not be proved conclusively until the explorations of the 19th century. Cook did, however, disprove the existence of Terra Australis – the supposed “Great Southern Continent,” a move that was incredibly important. It meant there was not a land of great wealth and resources awaiting those hardy enough to conquer it as was the commonly held belief. It also advanced the field of astronomy. The Greek philosopher and scientist Ptolemy had suggested balance was responsible for keeping the earth on its axis, which meant there had to be a southern continent to counterbalance the weight of Asia. Cook proved this was not the case. Within a few days of his return from this voyage, Cook was promoted to Captain and given an honorary retirement from the Royal Navy, as an officer in the Greenwich Hospital. He could not be kept from the seas, however, and in 1776 embarked on what would be his final voyage. On this voyage he commanded HMS Resolution while Captain Charles Clerke commanded HMS Discovery. Their mission was to search for the Northwest Passage – the first attempt at an adequate examination and charting of America’s northwest coast. This was an important mission because it was hoped the route would be quicker and therefore provide an advantage against the Spanish with whom Great Britain competed with on several levels. 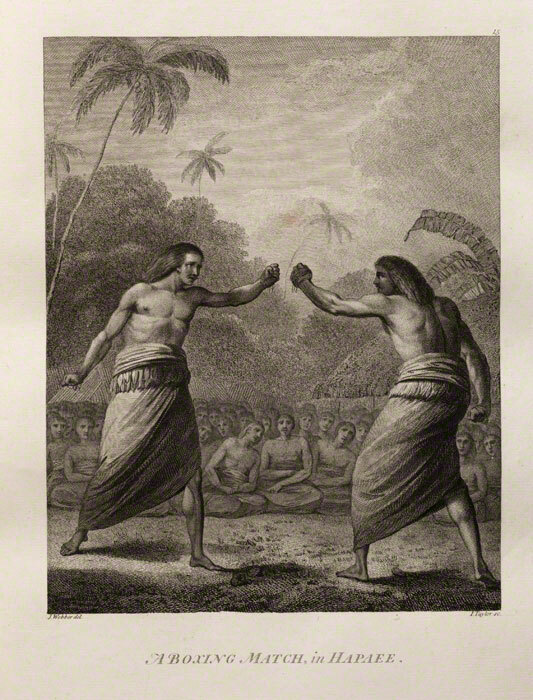 Cook not only charted the American west coast from Northern California through the Bering Strait, but also discovered the Hawaiian Islands, which he named the Sandwich Islands. He was the first navigator to accurately map the coast, and to introduce the fur trade to the English and American traders. 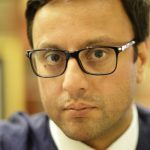 His contributions to knowledge were internationally recognized during this time. In 1779, while the American colonies were at war with Britain in their independence, Benjamin Franklin wrote to captains of American warships at sea recommending that if they encountered Cook’s vessel, they were not to interfere. Unknown to Franklin, Cook had met his death a month before his recommendation was written. Earlier in the year, while anchored in Karakakooa Bay in Hawaii, tensions became strained between Cook’s crew and the indigenous people following. While trying to capture the local leader, Cook was subdued and killed. In November 1874, an obelisk in his memory was erected on the beach where he fell, but the truest and best memorial for his life is the map of the Pacific Ocean, which has remained virtually unchanged since the days of his discoveries.